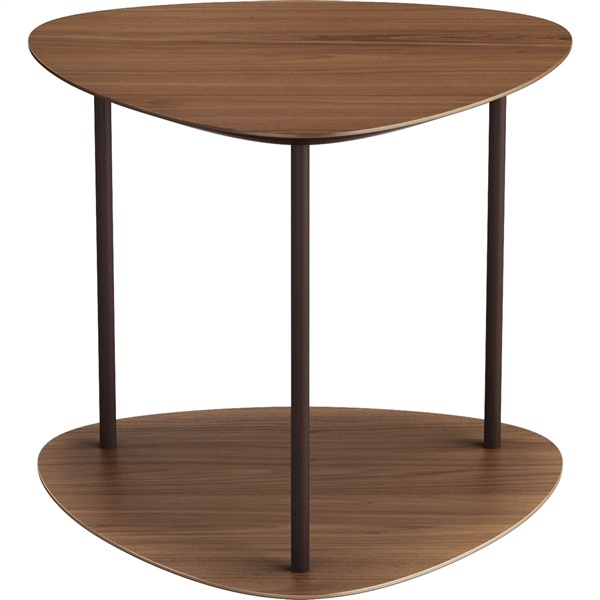 The Finsbury Side Table by Modloft features two spacious surfaces that boast a fluid rounded triangular shape. Supported by steel pillars, its minimalist style is sleek and functional. Rich walnut veneer and matte java finished legs will fit seamlessly into your existing decor.